To “brush–up” means to refresh your memory and improve on a skill. 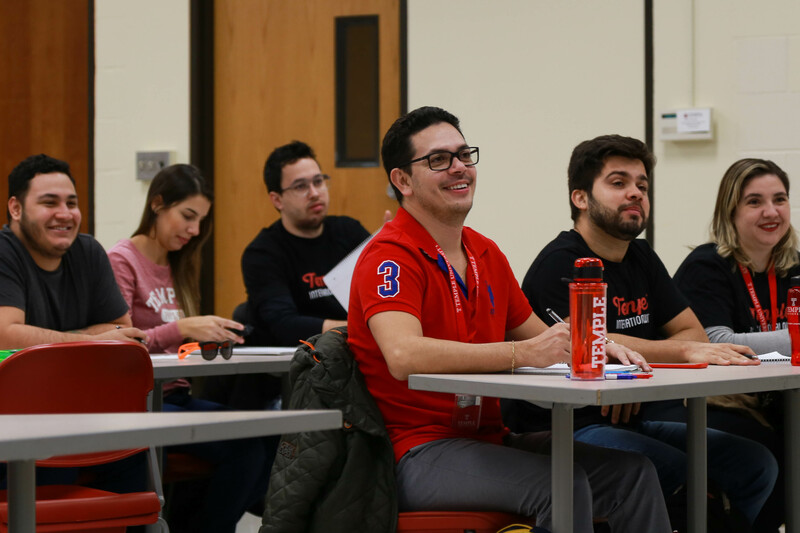 The Academic English Skills Brush-Up Workshops will provide vital review and practice with the language skills essential for university success, which is needed by so many undergraduate and graduate students whose native language is not English. You use English every day, but this review will help you use those skills more accurately and confidently. Writing essays and academic papers is central to university success. This workshop reviews the skills necessary to perform well on academic writing assignments. Using selected academic essays as models, you will apply writing and editing processes essential to producing well-developed academic texts. Throughout the workshop, you will practice essay organization, grammar and sentence structure in your writing. Accurate pronunciation patterns affect your ability to be understood, especially when making presentations and having discussions with professors and colleagues. This workshop reviews the features of American English pronunciation essential to academic speaking and presentation. Drawing from selected speaking prompts and online videos, you will practice the features of academic speaking through in-class exercises and short presentations. Throughout the workshop, you will gradually refine speaking and presentation skills to communicate confidently and comprehensibly during formal presentations and with professionals in your field of study. "You will have a huge international family and never feel alone!"